Vital Stim Certified, TalkTools certified, PROMPT trained, Certified Orofunctional Myologist (COM), Extensive training in Infant feeding. 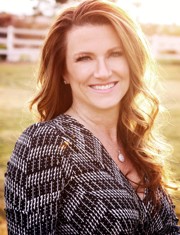 Kelley Carter has been a Speech Pathologist for over 20 years, graduating from CSUNorthridge with her Masters in 1997. 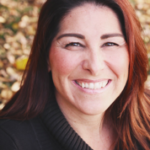 Kelley has worked in a variety of settings including Rehabilitation Hospitals, Skilled Nursing, Schools, Early Intervention, Corporate setting, Outpatient and Home Health. She has specialized in Feeding, Speech/Language, Articulation, Apraxia, Aphasia, Phonological delays, Oral Motor/Oral Myofunctional training (Airway, Oral Structure and Function), Fluency and Voice. 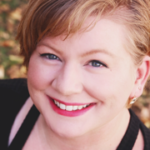 Kelley has also received extensive training in Cranial Nerve Dysfunction, Autonomic Nervous System dysregulation, Tummy Time Method certification, Pre-and post Frenectomy treatment, as well as treatment to maximize development of social interaction, sensory regulation and maximizing feeding and oral development through movement and exercises starting in infancy. Kelley started Speakeasy Therapy in 2014 when patients requested her to continue to work with their child upon graduating from NEIS. Quickly, she discovered the need for quality care with the goal of discharging her patients to the maximum of their abilities through effective and functional “play” therapy. 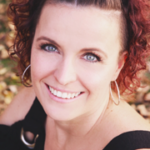 She is passionate about educating the families and collaborating with other specialists to maximize results, while looking at the “whole person” and attempting to determine the “why.” She attends several conferences a year to train in the leading, innovative and effective therapies to further train her staff to continue to provide excellent treatment to her clients. Each of our therapists are extensively qualified and have a passion for helping others in the Community. Individual treatment plans implementing both one-on-one sessions, as well as group options if applicable, for socializing and adapting to their everyday world. We are honored to be a key-player in educating, training and implementing strategies and goals to improve the quality of life for so many families in the Las Vegas valley. Nick received his Bachelor of Science in Kinesiology from Michigan State University in 2014 and Masters in Occupational Therapy from Touro University Nevada in 2016. 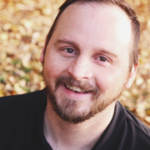 Nick has experience working with children and adults in hospitals and pediatric outpatient clinics. The kids love working with him as he brings his knowledge and energy to the clinic from a male perspective. In his free time, Nick enjoys hanging out with his friends, traveling, and working out. Meg graduated from Iowa State University with honors, receiving a degree in Linguistics. Her experience in this field of study provided her with in depth understanding of all components of language. Upon graduation, she decided she wanted to use this knowledge to help others. 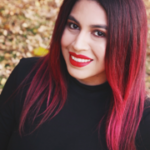 Inspired by her father’s diagnosis of ALS and seeing the impact his SLP made in this process, she pursued a second bachelors in Communicative Sciences and Disorders at Utah State University and completed her education by receiving her masters at Abilene Christian University. She was able to experience several settings during her fieldwork, including skilled nursing facilities, school systems, inpatient and outpatient rehabilitation, and both adult and pediatric home health, but pediatrics quickly stole her heart. 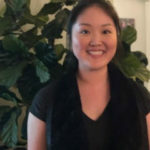 She completed her clinician fellowship year in both the school system and private practice, working extensively with multi-cultural students, children with mild to severe developmental disorders, such as cerebral palsy and Down syndrome, and children with autism, feeding disorders, prenatal drug exposure, articulation disorders, language disorders, and developmental delay. Meg loves developing good working relationships with families, believing that parents play an important role in successful intervention. In her free time, Meg enjoys training her rescue dog, Daisy, hiking and working out, traveling, cooking, trying out new recipes or restaurants, reading, and drinking too much coffee. Jenifer is a native of Washington state. She received her Bachelor of Science in Kinesiology at Western Washington University and her Certified Occupational Therapy Assistant Degree from Green River College graduating with Honor’s. After graduation, she and her husband decided it was the perfect time to entertain the idea of packing up and starting a new adventure in a different state. This lead her to Las Vegas Nevada. Jenifer has worked in the outpatient pediatric population for the last 3 years. Pediatrics is her passion and she loves the energy and charisma the kiddos bring to the table. 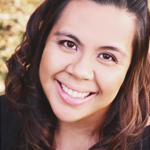 Jenifer truly loves OT and is dedicated to making her sessions meaningful and fun. She meets each child where they’re at to foster confidence and skill development to help them meet their goals. In her free time, she loves spending time with her family and being outdoors. Courtney received her B.S. in Hearing and Speech Science from Ohio University in 2002 and her M.A. in Speech Language Pathology from Cleveland State University in 2005. 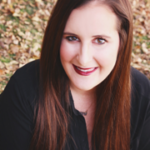 Courtney has experience working with both adult and pediatric clients in a variety of settings including: hospitals, home health care, nursing homes, schools, and outpatient clinics. The majority of her career was spent working for North Ridgeville City Schools and the Cleveland Clinic before moving west for new career opportunities. 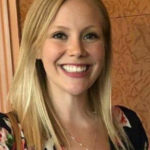 Courtney’s adult experience has mainly focused on post CVA speech, cognitive, and swallowing disorders, but she also has experience working with a variety of other adult nuerological disorders. Her pediatric experience includes the areas of articulation, receptive/expressive language, fluency, pragmatic language, apraxia, and feeding/swallowing. She also has experience in assessing and implementing the use of augmentative communication devices. In her free time, Courtney likes to go shopping, watch movies, travel, attend Crossfit gyms/competitions, and spend time with her husband and 2 dogs. Natalie received her B.S. in Behavioral Health and Sciences from the University of Central Arkansas in 2010. She earned her Masters of Education in Communication Sciences and Disorders from the University of Arkansas in 2012. Natalie has experience in working with adults and children in a variety of settings including elementary schools, hospitals, and pediatric outpatient clinics. 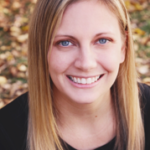 Natalie has specialized in working in outpatient pediatric settings since August of 2012. She has experience with working with children with articulation disorders, apraxia, expressive and receptive language disorder, pragmatic language disorders, feeding difficulty, stuttering, and myofunctional disorders. In her free time, Natalie enjoys traveling, spending time with her husband, visiting family and friends, and shopping. Lauren received her B.S. in Communication Sciences and Disorders from Penn State University in 2012 and her M.A. in Communication Science and Disorders from The University of Pittsburgh in 2014. 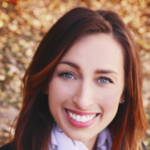 Lauren has experience working a Level III Neonatal Intensive Care Unit, Pediatric Intensive Care Unit, adult acute care, and pediatric outpatient speech, language, and feeding. She has recently passed her test and is an International Board Certified Lactation Consultant (IBCLC). Her primary specialty is in infant feeding and she is excited to join the Speakeasy team and expand her knowledge in regards to pediatric feeding. She also has experience working with adults with swallowing disorders and children with speech and language disorders. In her free time, Lauren likes to travel, read, and play with her puppy. Chaz R is a native of Las Vegas who loves the town and the people here. 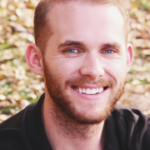 After high school Chaz studied Spanish at the University of Utah in 2012 and received his Masters in Occupational Therapy from Touro University Nevada in 2014. Chaz has experience with both adults in an inpatient setting and children in both inpatient and outpatient setting. Chaz loves working with kids: he loves their energy, unique perspective on things, and their love for life. Chaz brings a fun twist to therapy and energy to match that of the kids he works with. In his free time Chaz enjoys hiking, traveling, trying new foods and spending time with his wife and daughter. Kaitlin received her B.S. in Communication Sciences and Disorders from the University of Nevada, Reno in 2015. She earned her M.S. in Speech Pathology and Audiology in 2017 from the University of Nevada, Reno. 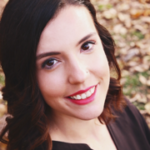 Kaitlin has experience in working with pediatrics with articulation disorders, expressive and receptive language disorder, pragmatic language disorders, voice disorders, and fluency disorders. In her free time, Kaitlin enjoys spending time with family and friends, shopping, and watching Netflix series.
. Early intervention services cease at age three, where families will seek outpatient services. Being able to see the continuity of care has given me insight of how optimize treatment planning to improve outcomes. A fun fact about myself is that I am a huge foodie and was in the restaurant industry for 13 years before I became a therapist. Melissa was born in Manila, Philippines and moved to Las Vegas with her family in 1987. 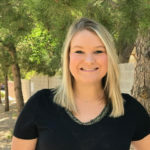 She graduated Salutatorian from Clark High School and graduated with a Bachelor of Science Degree in Sports Injury Management in 2003 and her Master of Science in Physical Therapy Degree in 2005 from UNLV. 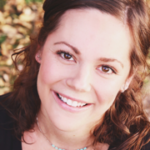 In March 2013, Melissa returned to school and in June 2015, received her Doctorate of Physical Therapy from A.T. Still University of Health Sciences. With many years of diverse experience in outpatient clinics, home health, early intervention, and school based setting, Melissa continues to successfully treat patients in the areas of pediatrics, orthopedics, pre and post-operative rehabilitation, sports injuries, balance deficits, genetic and neurological conditions.In her spare time, she enjoys spending time with and traveling with family and goes to kickboxing classes when she can to maintain some level of fitness.